Can you function before you've had your morning fix of caffeine? Nope, me either. And we shouldn't have to! Let us honor our favorite bean (and other energizing treats) by breaking out our credit cards and filling our homes with these products. Honestly, I need them ALL and you're going to want them, too. 1. A tumbler, so you can bring your favorite hot beverage with you wherever you go. In an effort to save money, I've picked up one of these tumblers so I can take my tea or coffee with me for my morning commute. Just don't judge me when that plan goes out the window in favor of Starbuck's peppermint mocha lattes. Thanks to the magnetic slider lid on this cup, you don't have to worry about spilling a drop of that liquid gold. Get it from Amazon for $29.99+ (available in 15 colors). 2. A coffee pod holder to keep all your precious caffeine-filled pods in one place. How cute is this mug-shaped container? It holds up to 20 coffee or espresso pods, so feel free to load up! My father-in-law lives for his coffee accessories, so I'm definitely eyeing this one for him this holiday season. Get it from Amazon for $20.60 (available in three styles). 3. A French press coffee maker that looks more expensive than it is, to brew up some morning motivation. Get it from Amazon for $15+ (available in 3-cup, 4-cup, or 8-cup options). 4. A pair of snuggly socks so you can kick back, relax, and sip on the good stuff. These socks are adorably, cozy, and non-slip! There's no better way to relax after a long day than to put on some warm footwear, make a hot cup of tea, and binge-watch The Great British Baking Show, amiright? 5. A pack of energy-boosting gum that is filled with 100mg of caffeine per piece to keep you going throughout the day. Tired of having to pee every 30 minutes? Yeah, same. That doesn't mean you have to give up your favorite way to get a jolt of energy. This gum has been approved by the military, assuring that you really will see a difference in your energy levels as soon as you start chewing! Get it on Amazon for $28. 6. A necklace the smartest of coffee-consumers will appreciate — truly the perfect gift for a caffeine enthusiast. This necklace is the definition of nerdy-chic. It depicts the chemical compound for caffeine in a cute way that will impress anyone who asks "what does your necklace mean?" (because you know that's going to happen). I also love that you can add a personal message to the card as well as an initial pendant. So fun! Get it from NaturallyBespoke on Etsy for $9.41+ or something similar from Amazon for $12.80+ (available in four finishes). 7. An electric kettle that will help you make a flawless cup of tea every single time. When my husband first insisted on buying this kettle, I questioned him. I couldn't understand why we couldn't continue to heat water on the stove for tea and save some dollars — boy, was I wrong. This kettle is easily the most-used appliance in my home. It specifies exactly what temperature you need to boil your water to for each kind of tea you plan to brew. It's easy to use and definitely comes in handy when we have guests over. You can also use it to whip up a nice French press coffee or hot chocolate! Get it from Amazon for $60.83. 8. A 42-pack of tea to keep you warm, snuggly, and caffeinated. I drink so much tea you'd think I was of British descent, so I can tell you after trying many brands that Harney & Sons makes a quality cup. This set comes with 14 different flavors in addition to honey crystal packs, so anyone who joins you will be able to find something that appeals to their tastebuds. Try the organic peppermint, you won't be disappointed. Get a pack of 42 from Amazon for $13.99. 9. A set of delicate espresso cups that will make you feel so fancy you'll want to sip out of them with your pinky out. Made with high-quality Bone China Porcelain, this delightful set includes four cups, four saucers, and four stirring spoons. I can't get enough of these pastel colors! Just think how lovely they would look filled to the brim with espresso. Many customers also said they used them for adorable tea parties with their children... how precious is that? Get a set of four cups from Amazon for $25.99 (also available in 7oz size). 10. A Chemex pour-over glass coffee maker for the person who gets a thrill out of making fancy coffee on their own. No one loves coffee more than my husband — and he has had this Chemex creation on his wish list for years. it is made of Borosilicate glass, allows coffee to be refrigerated without losing flavor, and honestly just looks super cool on the kitchen counter. Get it from Amazon for $36.95+ (available in 3-cup, 6-cup, 8-cup, and 10-cup). 11. A witty sweatshirt to profess your obsession with coffee to the world — and provide a laugh while you're at it. This is the perfect pullover for a Sunday morning spent at home sipping on coffee while scrolling through Instagram. It is also created with an eco-friendly water-based ink, so you can feel good about helping the environment while expressing yourself. Get it from lastearth on Etsy for $24.79+ (available in sizes S-XXL and in six colors). 12. A giraffe tea kettle that will add a touch of whimsy to your kitchen. Raise your hand if you love animal-themed kitchen products!! I stumbled upon this giraffe tea kettle and now I must have it. The handle of the pot resembles the neck of the sweet animal, and I'm squealing just talking about it. You'll also notice the "whistle" to alert you the water is ready is more of a deep, train-like tone, which is perfect for those who often forget their tea is ready. Get it from Amazon for $37.35. 13. A "Coffee and a Classic" subscription box for anyone that loves to read as much as they love caffeine. I'm relatively new to coffee consumption (always been primarily a tea-drinker) but this subscription box has got me HYPED to expand my tastebuds. Each box comes with a classic novel, something to sip on, and two bookish items. You can actually choose whether you'd like coffee, tea, or hot chocolate! Obsessed. 14. An electric coffee grinder that will save you from exerting yourself too much while preparing your fave beverage. I can't tell you how many times I have watched my husband relentlessly try to grind coffee beans in a handheld grinder. It takes SOOOO long and is the last thing you want to do before you've had any caffeine. This awesome electric grinder takes all the hard work out of grinding, well, anything! It is said to grind up to three ounces of coffee beans in seconds. Pretty amazing. 15. A book all about coffee to educate yourself on the various ways to sip on those magical beans. Do you want more than just an average Cup 'o Joe? Well, Barista's Guide to Coffee can help you bring your beverage skills to the next level. This book will take you through the history of coffee, but also teach you how to make various other drinks like lattes and espresso martinis! Promising review: "This book has helped me to create my own vanilla lattes, and iced coffees. I have learned to create a product that tastes equally as good, if not better, than the commercial giants. The book covers everything from the history of coffee, to brewing methods, to equipment, and recipes, etc. In my opinion, this is definitely a useful book for someone looking to make their own handcrafted coffee." —Alli S.
Get it from Amazon for $21.20, Barnes & Noble for $23.44, Indiebound, or find a copy at your local library. 16. A tin of caffeinated mints that will energize you without leaving you with coffee breath. Anyone who knows me will tell you that without a doubt I have mints on me at all times, so you can only imagine how intrigued I was to discover these energy-boosting mints. They are sugar-free and even contain B vitamins in addition to the caffeine. Two of these mints = one cup of coffee, so you can get your fix at literally any time. Get a tin of 20 from Amazon for $19.99. 17. A bag of Death Wish coffee if you're looking to stay up all night (or possibly forever?). Looking for some serious caffeine? These beans are the answer. 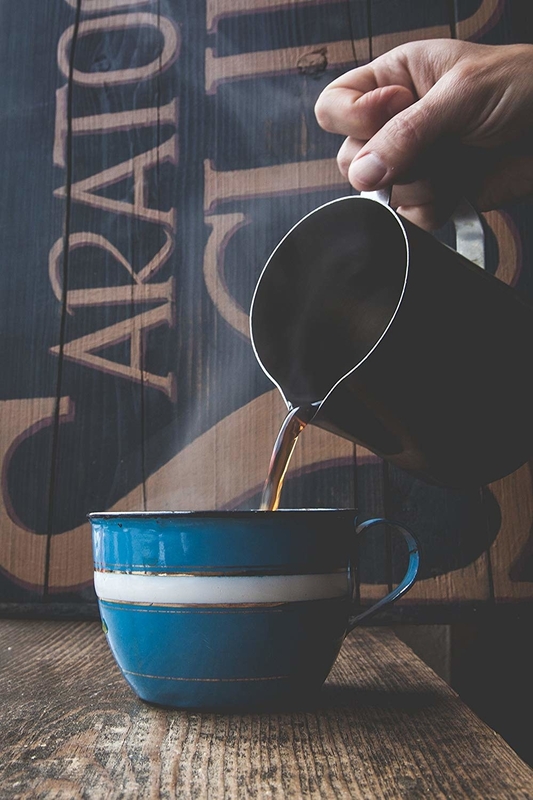 Known for being the world's strongest coffee, a cup of this is SURE to get you going. Over 5,900 Amazon customers have given this coffee a 5-star rating, so grab a mug and let's do this! Get it a 1lb bag from Amazon for $19.99 (also available in 2lb and 5lb bags). 18. A cute mug that will have you saying "who needs Starbucks' festive red cups?!" Is there anything better than canceling all of your plans, cuddle up with a chic mug like this, and watch hours upon hours of movies. It doesn't get much better than this, my friends. 19. A coffee-inspired tee so even your wardrobe can show off how you feel about caffeine. I love that this shirt is more than the typical "need coffee now" tees. It features six different ways to make coffee in a way that feels trendy. Excuse me, I need to get my credit card. Get it from GeekDownApparel on Etsy for $15.45+ (available in sizes XS-XXL and in six colors). 20. A piece of wall art that breaks down the anatomy of the French press — your coffee corner is going to look SPECTACULAR. I'm always looking for innovative ways to decorate my kitchen, and this piece of wall art may just be the answer. It displays the original patent for a French press and honestly is as informative as it is aesthetically pleasing. Get it from PatentPrints on Etsy for $10.50+ (available in multiple sizes and colors). 21. 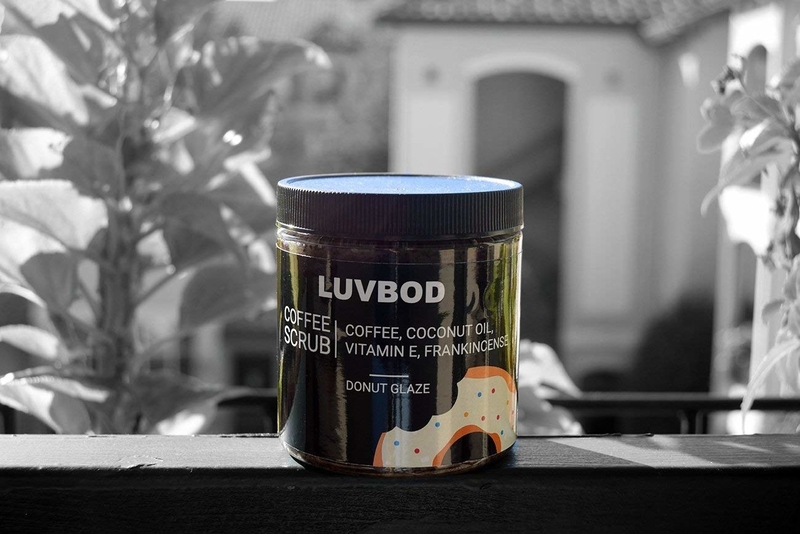 A luxury coffee scrub because sipping on caffeine is simply not enough. Why just drink coffee when you can also rub it all over your body? 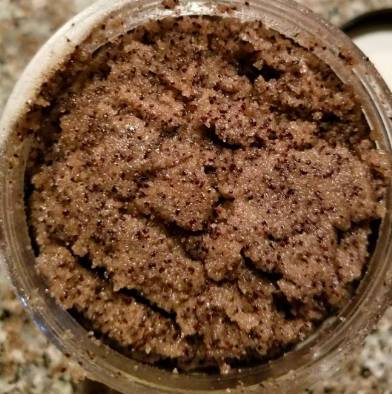 This exfoliating scrub is said to reduce the appearance of cellulite and stretch marks, remove dry skin, and awaken your senses. 22. A too-cute dinosaur tea infuser that will have you giggling anytime you whip up a cup. I am freaking out over these tea infusers. Why would you even bother purchasing the boring circular ones when you can have THESE?! This item comes with both a blue and a green dinosaur diffuser, so you can share one with a friend. Get two from Amazon for $12.95. 23. A frothing pitcher so you can achieve your hipster coffee shop dreams of creating your own latte art at home. My father-in-law's favorite hobby recently has been trying his hand at latte art. The drinks themselves taste fantastic, but the art could use a little work. For his birthday we sent him to a latte art class (yes, in Brooklyn that is a THING) in which they provided him with the right tools to create impressive beverage displays — including this frothing pitcher. Start saving your hard earned dollars and make your own iced coffee at home! Thanks to this amazing iced cold brew maker from Takeya, you can easily sip on your favorite drink without breaking the bank. Almost 1,500 hyped-up amazon reviewers who gave this gadget five stars — so you know it's gotta be good. For more info on this awesome product, check out this Buzzfeeder's review! 25. A coffee-scented candle that will keep you feeling caffeinated even when you aren't sipping on any. Half the time I'm more infatuated with the smell of coffee than the actual taste. It's a scent that invokes memories of lazy mornings and cozy winter evenings. Thanks to this candle I can experience the joy of coffee whenever I like rather than only when I'm drinking it. The set of three features scents of coffee beans, hazelnut, and chai tea. Get set of three from Amazon for $28.97. 26. And a sugar bowl that'll make you want your caffeine fix right meow! How many lumps of sugar do you prefer in your tea or coffee? Who cares — as long as it's served up from this freakishly cute cat sugar bowl! Long live the caffeine fiends!